To the right of the "classic view" this foot-bridge crosses the Pant, the stream that runs through the pond. I wonder how many people have stood on it and watched the ducks in the sixty years or so between this photograph and the next. 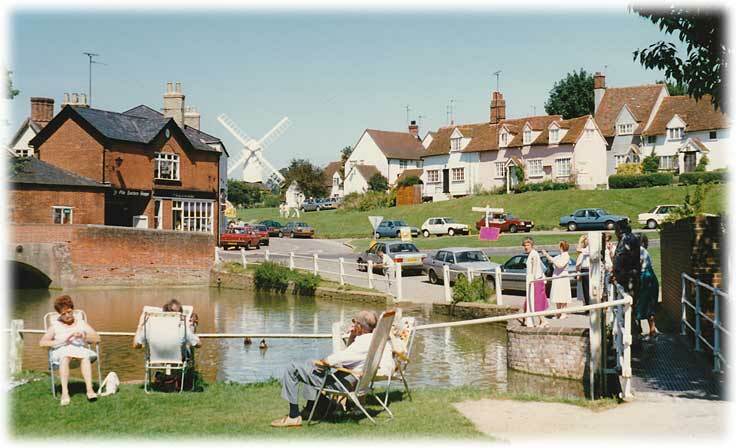 The windmill appears to be in poor condition in the 1930s but looks much better by the 90s. There are some views of it on another page. The new house in the centre of the modern picture is one of several around another green. They were designed to blend into the village scene, having red-tile roofs, dormer windows, white-washed walls and oak doors. Walk into the view in the previous two pictures and, once again, look back. 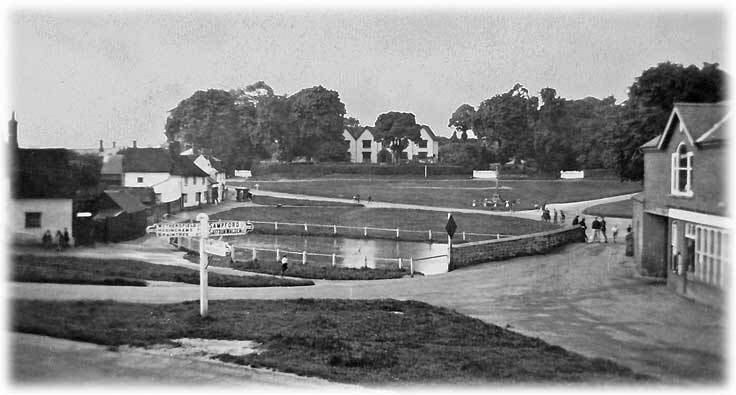 The large gabled house in the centre of this 1930s picture was called Ffitches. 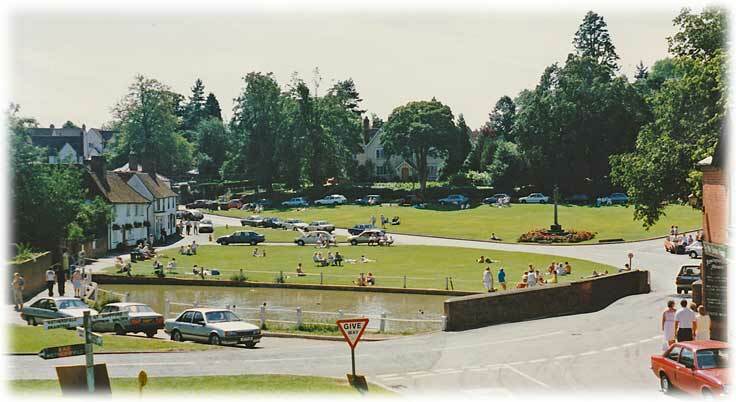 The modern picture (1990s) shows new houses in the top left corner and more trees hide Ffitches. In the fifties it was renamed Hill House and is now called Finchingfield House. 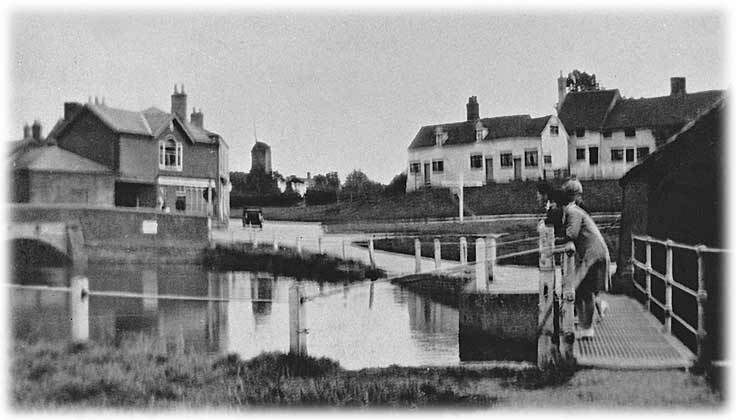 My great-grandmother lived in the first white cottage on the left beyond the pond.